The NEC P403-DRD is a digital signage solutions that provide a complete bundled product for customers that need a professional-grade display and media player. 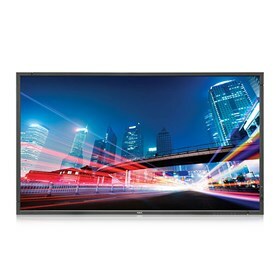 This display has native resolution of 1920 x 1080 and its built-in functionality allows for a clean, hidden integration. The LED backlighting is beneficial in both environmental and functional aspects for digital signage by displaying brilliant imagery. The P403-DRD features Android 4.2.2 and built in Wifi, wired LAN, 8GB flash, 2GB dual channel RAM, SD card slot and 2 USB ports that simplifies digital signage. This commercial-grade LCD panel have low-profile 8W speakers that enhances its superior sound. The NEC P403-DRD has many exciting features for users of all types. See the NEC P403-DRD gallery images above for more product views. The NEC P403-DRD is sold as a Brand New Unopened Item.